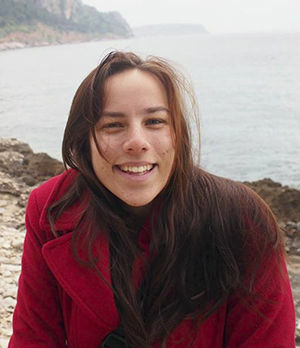 Executive Master of Arts student Naomi Burchett completed an internship with Humanities 21, Australia. I completed my internship at Humanities 21, a not-for-profit organisation that champions the benefits a humanities degree can bring to all aspects of life, particularly business. The first days were brilliant. I expected to be really nervous, but the manager took time to explain the organisation and prepared some basic training for me. It was a bit of a slow start, but I appreciated it, because it gave me a great base to begin my project from. I was also surprised by how many of the skills I developed during my program and in my casual work assisted me in settling in. During my internship I developed a youth engagement program for the organisation, so my daily tasks mostly related to managing this project. I interviewed experts in youth engagement and researched engagement strategies and potential activities and events for the program. Try to organise an internship in an area that you're interested in or curious about. The most meaningful connections that I have made and the most rewarding work I have done involved working in an area of interest with people I respect. Visit the Executive Master of Arts web page.